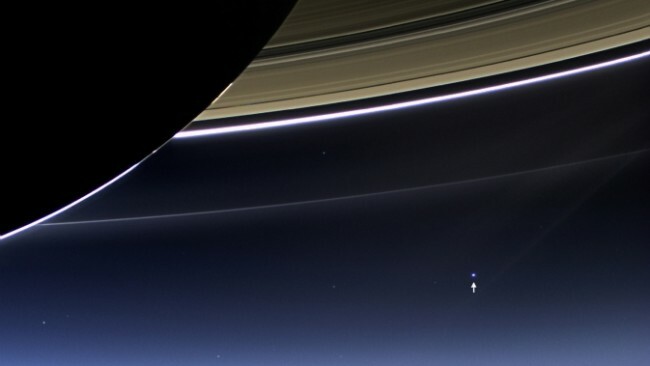 Once upon a time we humans sat smugly at the center of the universe. Now, many of us (though, not yet all) know better. Over the the last several centuries we learned and accepted that the Earth spun around the nearest Star, and not the converse. We then learned that the Sun formed part of an immense galaxy, the Milky Way, itself spinning in a vast cosmological dance. More recently, we learned that the Milky Way formed part of a larger cluster of galaxies, known as the Local Group. Now we find that our Local Group is a mere speck within an immense supercluster containing around 100,000 galaxies spanning half a billion light years. Researchers have dubbed this galactic supercluster, rather aptly, Laniakea, Hawaiian for “immense heaven”. Laniakea is your new address. 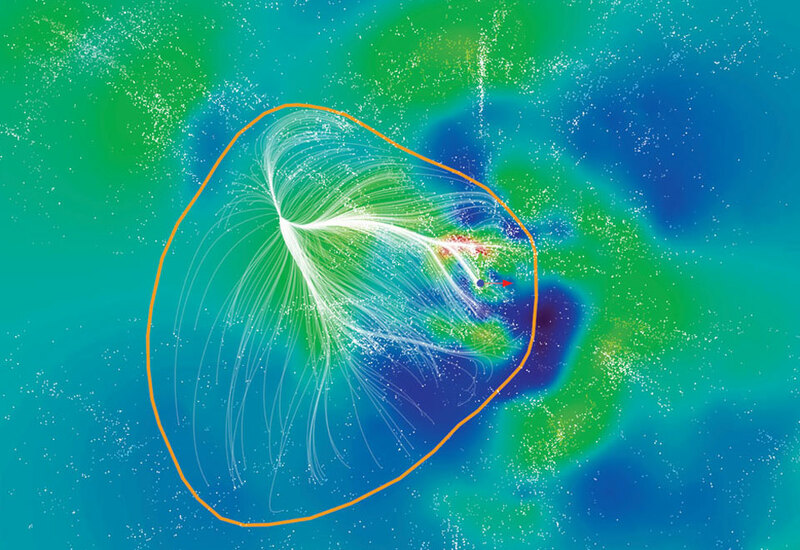 And, fascinatingly, Laniakea is moving towards an even larger grouping of galaxies named the Shapely supercluster. In what amounts to a back-to-school gift for pupils with nerdier leanings, researchers have added a fresh line to the cosmic address of humanity. No longer will a standard home address followed by “the Earth, the solar system, the Milky Way, the universe” suffice for aficionados of the extended astronomical location system. The extra line places the Milky Way in a vast network of neighbouring galaxies or “supercluster” that forms a spectacular web of stars and planets stretching across 520m light years of our local patch of universe. Named Laniakea, meaning “immeasurable heaven” in Hawaiian, the supercluster contains 100,000 large galaxies that together have the mass of 100 million billion suns. Our home galaxy, the Milky Way, lies on the far outskirts of Laniakea near the border with another supercluster of galaxies named Perseus-Pisces. “When you look at it in three dimensions, is looks like a sphere that’s been badly beaten up and we are over near the edge, being pulled towards the centre,” said Brent Tully, an astronomer at the University of Hawaii in Honolulu. Astronomers have long known that just as the solar system is part of the Milky Way, so the Milky Way belongs to a cosmic structure that is much larger still. But their attempts to define the larger structure had been thwarted because it was impossible to work out where one cluster of galaxies ended and another began. 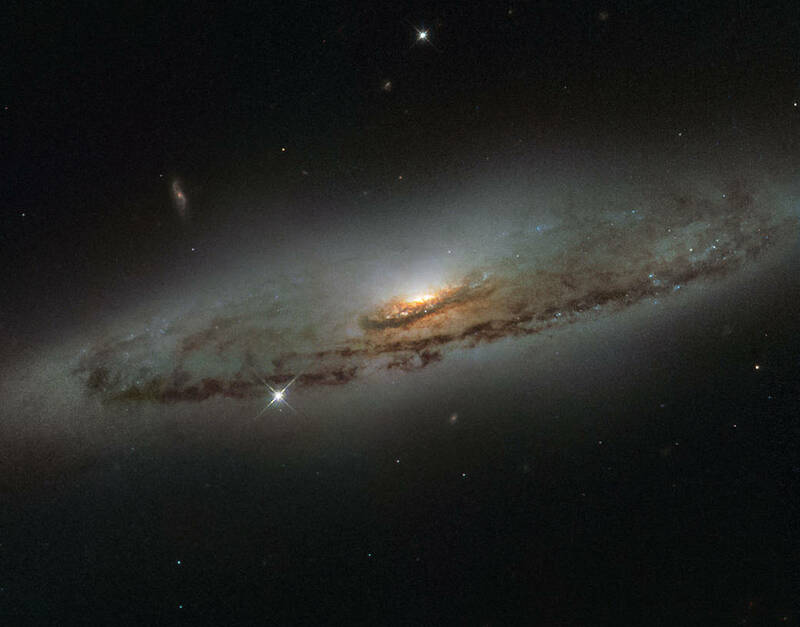 Tully’s team gathered measurements on the positions and movement of more than 8,000 galaxies and, after discounting the expansion of the universe, worked out which were being pulled towards us and which were being pulled away. This allowed the scientists to define superclusters of galaxies that all moved in the same direction (if you’re reading this story on a mobile device, click here to watch a video explaining the research). The work published in Nature gives astronomers their first look at the vast group of galaxies to which the Milky Way belongs. A narrow arch of galaxies connects Laniakea to the neighbouring Perseus-Pisces supercluster, while two other superclusters called Shapley and Coma lie on the far side of our own. 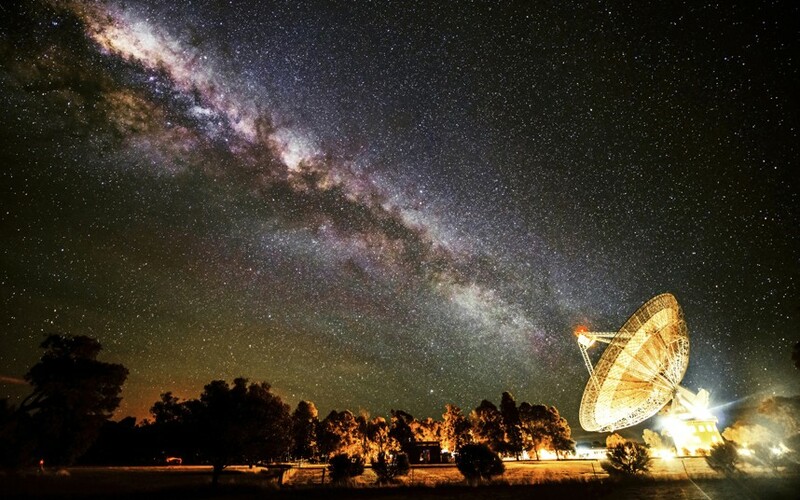 Tully said the research will help scientists understand why the Milky Way is hurtling through space at 600km a second towards the constellation of Centaurus. Part of the reason is the gravitational pull of other galaxies in our supercluster. “But our whole supercluster is being pulled in the direction of this other supercluster, Shapley, though it remains to be seen if that’s all that’s going on,” said Tully. Read the entire article here or the nerdier paper here. Image: Laniakea: Our Home Supercluster of Galaxies. 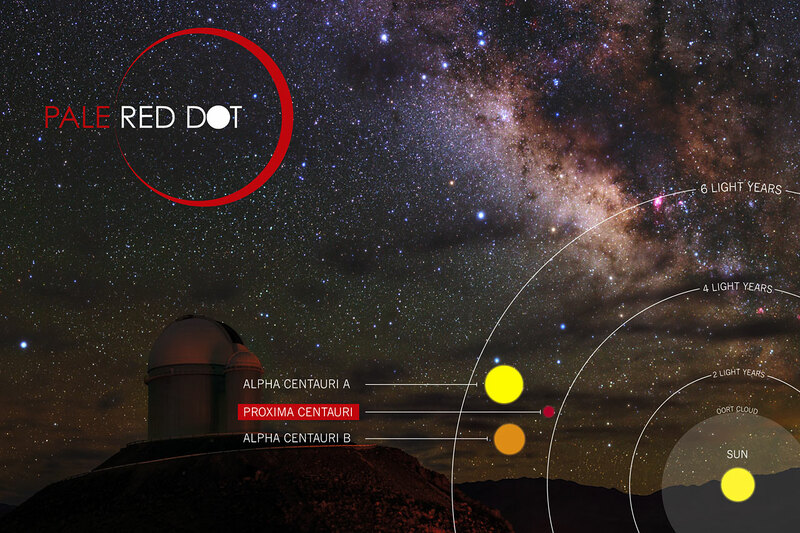 The blue dot represents the location of the Milky Way. Courtesy: R. Brent Tully (U. Hawaii) et al., SDvision, DP, CEA/Saclay. According to NASA, Voyager 1 officially left the protection of the solar system on or about August 25, 2013, and is now heading into interstellar space. It is now the first and only human-made object to leave the solar system. Perhaps, one day in the distant future real human voyagers — or their android cousins — will come across the little probe as it continues on its lonely journey. A spacecraft from Earth has left its cosmic backyard and taken its first steps in interstellar space . After streaking through space for nearly 35 years, NASA’s robotic Voyager 1 probe finally left the solar system in August 2012, a study published today (Sept. 12) in the journal Science reports. Voyager 1 launched on Sept. 5, 1977, about two weeks after its twin, Voyager 2. Together, the two probes conducted a historic “grand tour” of the outer planets, giving scientists some of their first up-close looks at Jupiter, Saturn, Uranus, Neptune and the moons of these faraway worlds. The duo completed its primary mission in 1989, and then kept on flying toward the edge of the heliosphere, the huge bubble of charged particles and magnetic fields that the sun puffs out around itself. Voyager 1 has now popped free of this bubble into the exotic and unexplored realm of interstellar space, scientists say. They reached this historic conclusion with a little help from the sun. A powerful solar eruption caused electrons in Voyager 1’s location to vibrate signficantly between April 9 and May 22 of this year. The probe’s plasma wave instrument detected these oscillations, and researchers used the measurements to figure out that Voyager 1’s surroundings contained about 1.3 electrons per cubic inch (0.08 electrons per cubic centimeter). 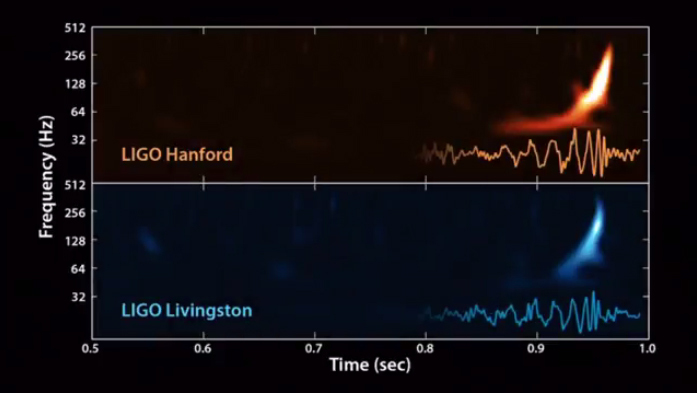 “We literally jumped out of our seats when we saw these oscillations in our data — they showed us that the spacecraft was in an entirely new region, comparable to what was expected in interstellar space, and totally different than in the solar bubble,” study lead author Don Gurnett of the University of Iowa, the principal investigator of Voyager 1’s plasma wave instrument, said in a statement. It may seem surprising that electron density is higher beyond the solar system than in its extreme outer reaches. Interstellar space is, indeed, emptier than the regions in Earth’s neighborhood, but the density inside the solar bubble drops off dramatically at great distances from the sun, researchers said. The study team wanted to know if Voyager 1 left the solar system sometime before April 2013, so they combed through some of the probe’s older data. They found a monthlong period of electron oscillations in October-November 2012 that translated to a density of 0.004 electrons per cubic inch (0.006 electrons per cubic cm). Using these numbers and the amount of ground that Voyager 1 covers — about 325 million miles (520 million kilometers) per year — the researchers calculated that the spacecraft likely left the solar system in August 2012. That time frame matches up well with several other important changes Voyager 1 observed. On Aug. 25, 2012, the probe recorded a 1,000-fold drop in the number of charged solar particles while also measuring a 9 percent increase in fast-moving galactic cosmic rays, which originate beyond the solar system. “These results, and comparison with previous heliospheric radio measurements, strongly support the view that Voyager 1 crossed the heliopause into the interstellar plasma on or about Aug. 25, 2012,” Gurnett and his colleagues write in the new study. 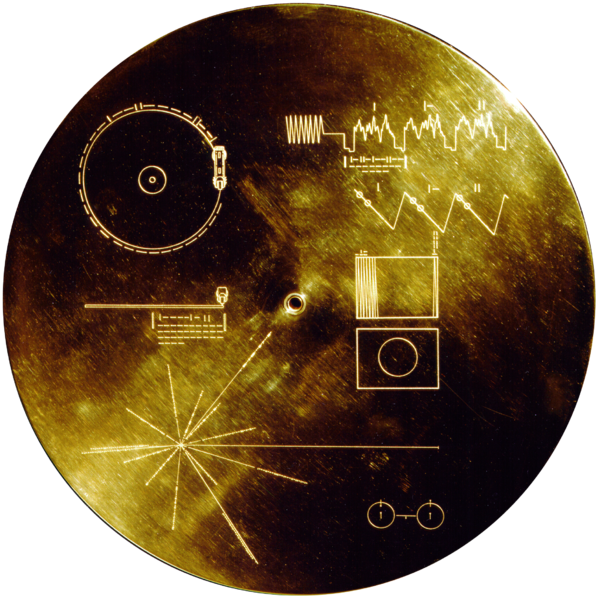 Image: Voyager Gold Disk. Courtesy of Wikipedia. First measured in the early-seventies, the interstellar wind is far from a calm, consistent breeze. Rather, as new detailed measurements show, it’s a blustery, fickle gale. Interstellar space—the region between stars in our galaxy—is fairly empty. There are still enough atoms in that space to produce a measurable effect as the Sun orbits the galactic center, however. 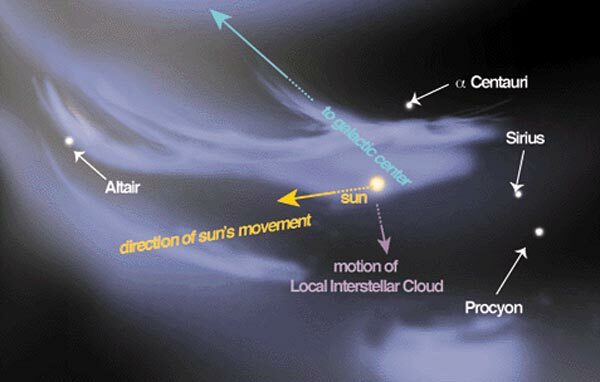 The flow of these atoms, known as the interstellar wind, provides a way to study interstellar gas, which moves independently of the Sun’s motion. A new analysis of 40 years of data showed that the interstellar wind has changed direction and speed over time, demonstrating that the environment surrounding the Solar System changes measurably as well. Priscilla Frisch and colleagues compared the results from several spacecraft, both in Earth orbit and interplanetary probes. The different positions and times in which these instruments operated revealed that the interstellar wind has increased slightly in speed. Additional measurements revealed that the flow of atoms has shifted somewhere between 4.4 degrees and 9.2 degrees. Both these results indicate that the Sun is traveling through a changing environment, perhaps one shaped by turbulence in interstellar space. The properties of the Solar System are dominated by the Sun’s gravity, magnetic field, and the flow of charged particles outward from its surface. 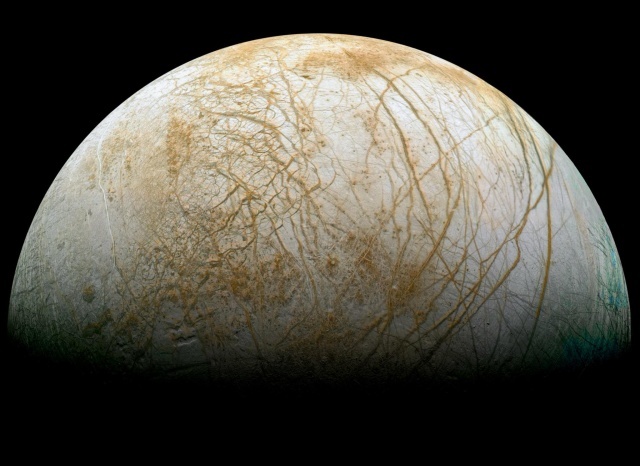 However, a small number of electrically neutral particles—mostly light atoms—pass through the Solar System. These particles are part of the local interstellar cloud (LIC), a relatively hot region of space governed by its internal processes. Neutral helium is the most useful product of the interstellar wind flowing through the Solar System. Helium is abundant, comprising roughly 25 percent of all interstellar atoms. In its electrically neutral form, helium is largely unaffected by magnetic fields, both from the Sun and within the LIC. 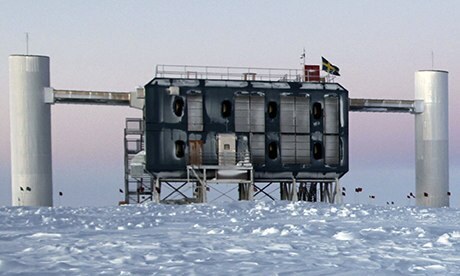 The present study also considered neutral oxygen and nitrogen atoms, which are far less abundant, but more massive and therefore less strongly jostled even than helium. When helium atoms flow through the Solar System, their paths are curved by the Sun’s gravity depending on how quickly they are moving. Slower atoms are more strongly affected than faster ones, so the effect is a cone of particle trajectories. The axis of that focusing cone is the dominant direction of the interstellar wind, while the width of the cone indicates how much variation in particle speeds is present, a measure of the speed and turbulence in the LIC. The interstellar wind was first measured in the 1970s by missions such as the Mariner 10 (which flew by Venus and Mercury) from the United States and the Prognoz 6 satellite from the Soviet Union. More recently, the Ulysses spacecraft in solar orbit, the MESSENGER probe studying Mercury, and the IBEX (Interstellar Boundary EXplorer) mission collected data from several perspectives within the Solar System. Image: Local interstellar cloud. Courtesy of NASA. So, you’d like to name a planet, perhaps after your grandmother or a current girlfriend or boyfriend. Here’s how below. But, forget trying to name a celestial object after your pet. So, “Mr.Tiddles”, “Snowy” and “Rex” are out. The international institute responsible for naming planets, stars and other celestial bodies has announced that the public will now be able to submit their own suggestions on what to call new discoveries in space. Founded in 1919, the Paris-based International Astronomical Union (IAU) has more than 11,000 members in more than 90 countries, making it the de facto authority in the field. 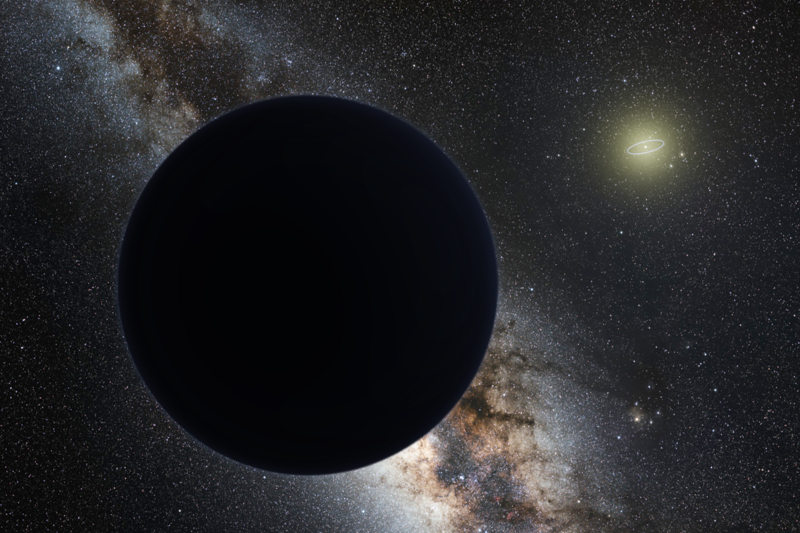 Without any official laws enforcing the use of planetary names, the decisions on what to call new discoveries are usually a matter of consensus. The changes announced by IAU hope to make public’s involvement more streamlined, asking that submissions are “sent to iaupublic@iap.fr” and promising that they will be “handled on a case-by-case basis”. “The IAU fully supports the involvement of the general public, whether directly or through an independent organised vote, in the naming of planetary satellites, newly discovered planets, and their host stars,” says the statement.
? 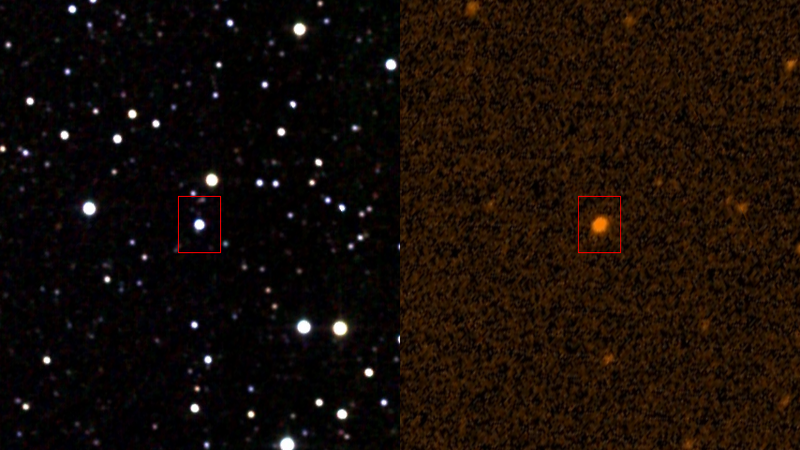 not too similar to an existing name of an astronomical object.
? names of a purely or principally commercial nature are not allowed. 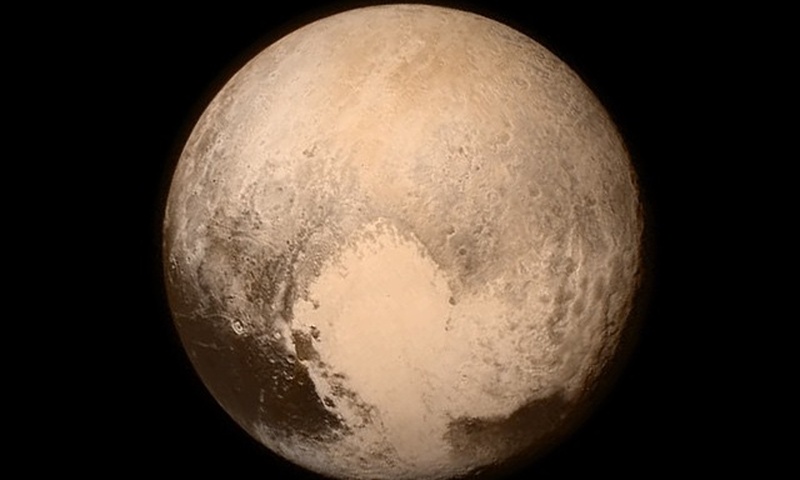 Despite this nod towards a democratic process, the IAU recently vetoed naming a newly discovered moon orbiting Pluto after Vulcan, the home-planet of Spock from the Star Trek franchise. William Shatner, the actor who played Captain James Kirk in the show, launched a campaign via Twitter after the Seti institute discovered the new moons and created an online poll to name them. Submitted names had to be picked from classical mythology and have an association with the underworld.‘Vulcan’ easily won the contest with 174,062 votes, followed by ‘Cerberus’ with 99,432 votes, and ‘Styx’ with 87,858 votes. New research models show just how precarious our planet’s climate really is. Runaway greenhouse warming would make a predicted 2-6 feet rise in average sea levels over the next 50-100 years seem like a puddle at the local splash pool. 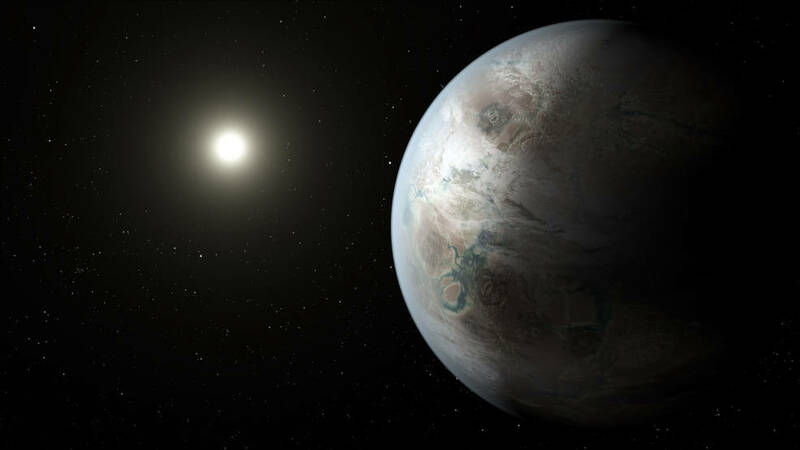 With the explosion of exoplanet discoveries, researchers have begun to seriously revisit what it takes to make a planet habitable, defined as being able to support liquid water. 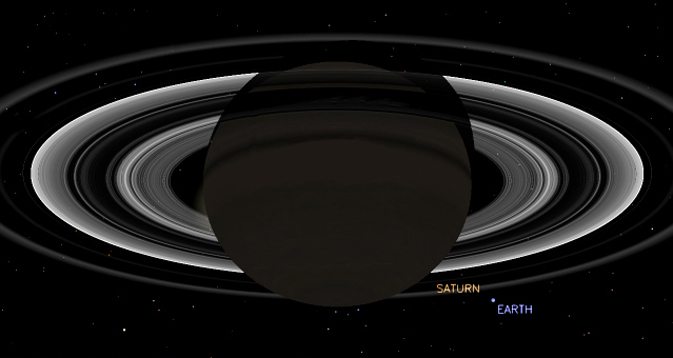 At a basic level, the amount of light a planet receives sets its temperature. But real worlds aren’t actually basic—they have atmospheres, reflect some of that light back into space, and experience various feedbacks that affect the temperature. Attempts to incorporate all those complexities into models of other planets have produced some unexpected results. Some even suggest that Earth teeters on the edge of experiencing a runaway greenhouse, one that would see its oceans boil off. The fact that large areas of the planet are covered in ice may make that conclusion seem a bit absurd, but a second paper looks at the problem from a somewhat different angle—and comes to the same conclusion. If it weren’t for clouds and our nitrogen-rich atmosphere, the Earth might be an uninhabitable hell right now. The new work focuses on a very simple model of an atmosphere: a linear column of nothing but water vapor. This clearly doesn’t capture the complex dynamics of weather and the different amounts of light to reach the poles, but it does include things like the amount of light scattered back out into space and the greenhouse impact of the water vapor. These sorts of calculations are simple enough that they were first done decades ago, but the authors note that this particular problem hadn’t been revisited in 25 years. Our knowledge of how water vapor absorbs both visible and infrared light has improved over that time. Water vapor, like other greenhouse gasses, allows visible light to reach the surface of a planet, but it absorbs most of the infrared light that gets emitted back toward space. Only a narrow window, centered around 10 micrometer wavelengths, makes it back out to space. Once the incoming energy gets larger than the amount that can escape, the end result is a runaway greenhouse: heat evaporates more surface water, which absorbs more infrared, trapping even more heat. At some point, the atmosphere gets so filled with water vapor that light no longer even reaches the surface, instead getting absorbed by the atmosphere itself. The model shows that, once temperatures reach 1,800K, a second window through the water vapor opens up at about four microns, which allows additional energy to escape into space. The authors suggest that this could be used when examining exoplanets, as high emissions in this region could be taken as an indication that the planet was undergoing a runaway greenhouse. The authors also used the model to look at what Earth would be like if it had a cloud-free, water atmosphere. The surprise was that the updated model indicated that this alternate-Earth atmosphere would absorb 30 percent more energy than previous estimates suggested. That’s enough to make a runaway greenhouse atmosphere stable at the Earth’s distance from the Sun. So, what’s keeping us cool? The authors suggest two things. The first is that our atmosphere isn’t uniformly saturated with water; some areas are less humid and allow more heat to radiate out into space. The other factor is the existence of clouds. Depending on their properties, clouds can either insulate or reflect sunlight back into space. On balance, however, it appears they are key to keeping our planet’s climate moderate. But clouds won’t help us out indefinitely. Long before the Sun expands and swallows the Earth, the amount of light it emits will rise enough to make a runaway greenhouse more likely. The authors estimate that, with an all-water atmosphere, we’ve got about 1.5 billion years until the Earth is sterilized by skyrocketing temperatures. If other greenhouse gasses are present, then that day will come even sooner. 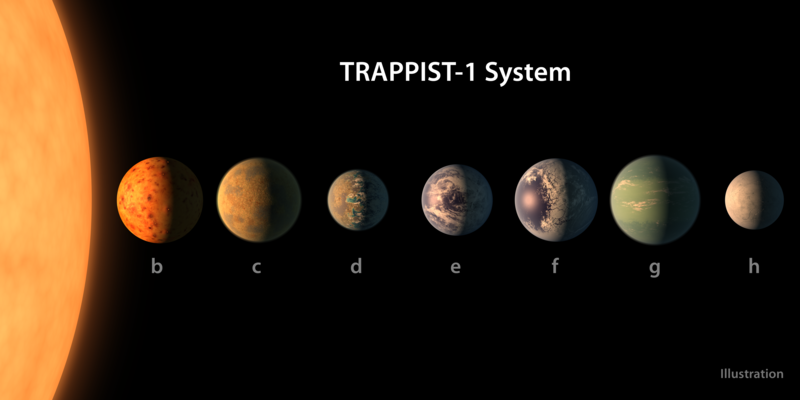 The authors don’t expect that this will be the last word on exoplanet conditions—in fact, they revisited waterlogged atmospheres in the hopes of stimulating greater discussion of them. But the key to understanding exoplanets will ultimately involve adapting the planetary atmospheric models we’ve built to understand the Earth’s climate. With full, three-dimensional circulation of the atmosphere, these models can provide a far more complete picture of the conditions that could prevail under a variety of circumstances. Right now, they’re specialized to model the Earth, but work is underway to change that. Image: Venus shrouded in perennial clouds of carbon dioxide, sulfur dioxide and sulfuric acid, as seen by the Messenger probe, 2004. Courtesy of Wikipedia. You would be rightfully mistaken for thinking this might be a lonesome bus trip to Mars, Pennsylvania or to the North American headquarters of Mars, purveyors of many things chocolaty including M&Ms, Mars Bars and Snickers, in New Jersey. This one way ticket is further afield, to the Red Planet, and comes from a company known as Mars One — estimated time of departure, 2023. On Monday, 17 years after the pioneering astronomer set out his hopeful vision of the future in 1996, a company from the Netherlands is proposing to turn Sagan’s dreams of reaching Mars into reality. The company, Mars One, plans to send four astronauts on a trip to the Red Planet to set up a human colony in 2023. But there are a couple of serious snags. Firstly, when on Mars their bodies will have to adapt to surface gravity that is 38% of that on Earth. It is thought that this would cause such a total physiological change in their bone density, muscle strength and circulation that voyagers would no longer be able to survive in Earth’s conditions. Secondly, and directly related to the first, they will have to say goodbye to all their family and friends, as the deal doesn’t include a return ticket. The Mars One website states that a return “cannot be anticipated nor expected”. To return, they would need a fully assembled and fuelled rocket capable of escaping the gravitational field of Mars, on-board life support systems capable of up to a seven-month voyage and the capacity either to dock with a space station orbiting Earth or perform a safe re-entry and landing. “Not one of these is a small endeavour” the site notes, requiring “substantial technical capacity, weight and cost”. Nevertheless, the project has already had 10,000 applicants, according to the company’s medical director, Norbert Kraft. When the official search is launched on Monday at the Hotel Pennsylvania in New York, they expect tens of thousands more hopefuls to put their names forward. Kraft told the Guardian that the applicants so far ranged in age from 18 to at least 62 and, though they include women, they tended to be men. The reasons they gave for wanting to go were varied, he said. 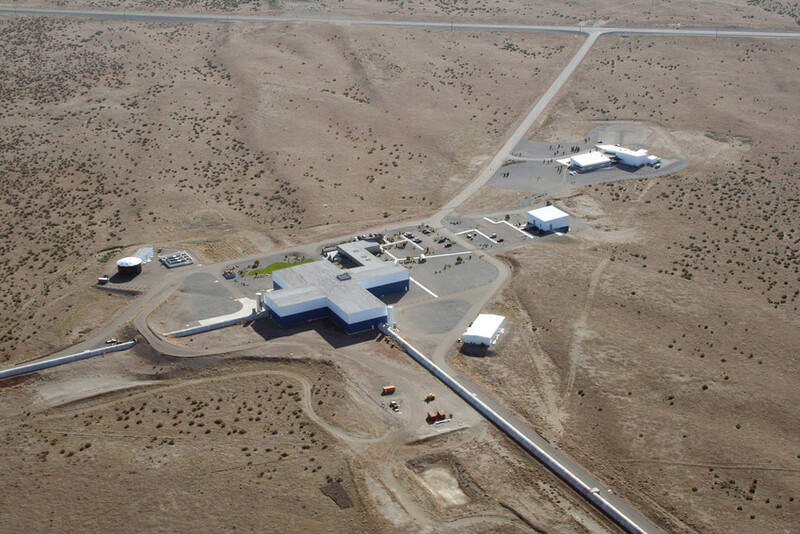 One of three examples Kraft forwarded by email to the Guardian cited Sagan. An American woman called Cynthia, who gave her age as 32, told the company that it was a “childhood imagining” of hers to go to Mars. She described a trip her mother had taken her on in the early 1990s to a lecture at the University of Wisconsin. The prime attributes Mars One is looking for in astronaut-settlers is resilience, adaptability, curiosity, ability to trust and resourcefulness, according to Kraft. They must also be over 18. Professor Gerard ‘t Hooft, winner of the Nobel prize for theoretical physics in 1999 and lecturer of theoretical physics at the University of Utrecht, Holland, is an ambassador for the project. ‘T Hooft admits there are unknown health risks. The radiation is “of quite a different nature” than anything that has been tested on Earth, he told the BBC. Founded in 2010 by Bas Lansdorp, an engineer, Mars One says it has developed a realistic road map and financing plan for the project based on existing technologies and that the mission is perfectly feasible. The website states that the basic elements required for life are already present on the planet. For instance, water can be extracted from ice in the soil and Mars has sources of nitrogen, the primary element in the air we breathe. The colony will be powered by specially adapted solar panels, it says. In March, Mars One said it had signed a contract with the American firm Paragon Space Development Corporation to take the first steps in developing the life support system and spacesuits fit for the mission. The project will cost a reported $6bn (£4bn), a sum Lansdorp has said he hopes will be met partly by selling broadcasting rights. “The revenue garnered by the London Olympics was almost enough to finance a mission to Mars,” Lansdorp said, in an interview with ABC News in March. Another ambassador to the project is Paul Römer, the co-creator of Big Brother, one of the first reality TV shows and one of the most successful. 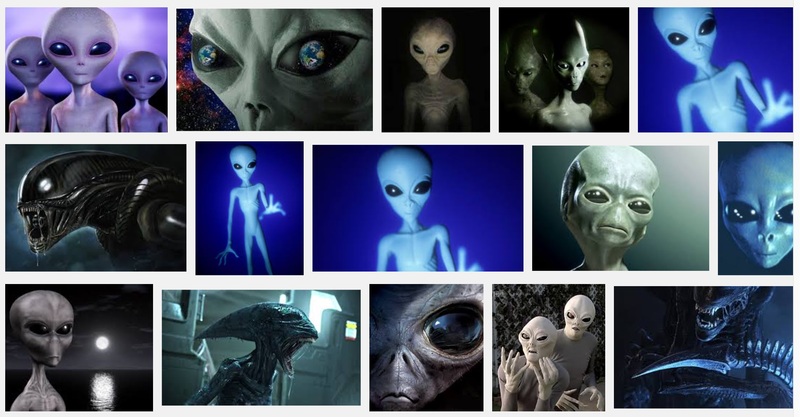 The aim is to establish a permanent human colony, according to the company’s website. The first team would land on the surface of Mars in 2023 to begin constructing the colony, with a team of four astronauts every two years after that. 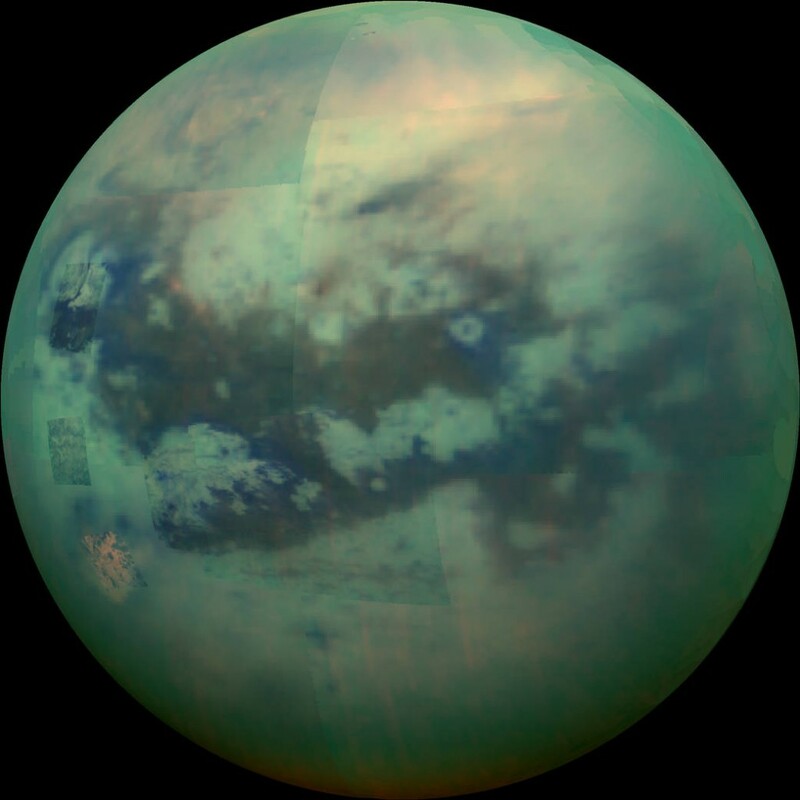 The project is not without its sceptics, however, and concerns have been raised about how astronauts might get to the surface and establish a colony with all the life support and other requirements needed. There were also concerns over the health implications for the applicants. Dr Veronica Bray, from the University of Arizona’s lunar and planetary laboratory, told BBC News that Earth was protected from solar winds by a strong magnetic field, without which it would be difficult to survive. The Martian surface is very hostile to life. There is no liquid water, the atmospheric pressure is “practically a vacuum”, radiation levels are higher and temperatures vary wildly. High radiation levels can lead to increased cancer risk, a lowered immune system and possibly infertility, she said. 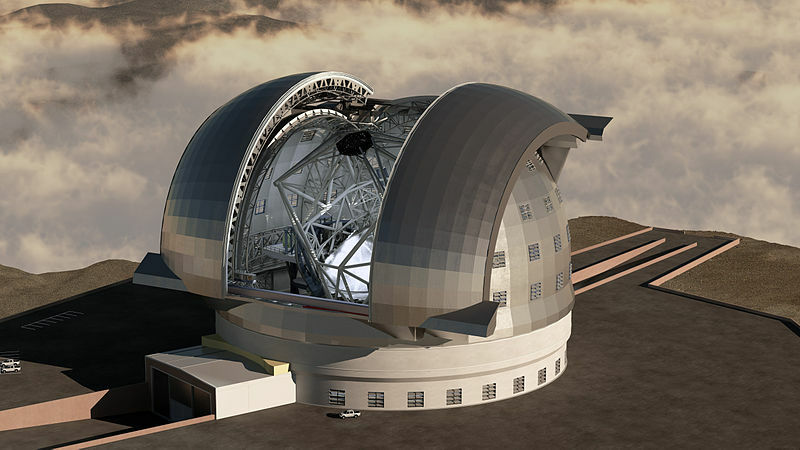 To minimise radiation, the project team will cover the domes they plan to build with several metres of soil, which the colonists will have to dig up. The mission hopes to inspire generations to “believe that all things are possible, that anything can be achieved” much like the Apollo moon landings. “Mars One believes it is not only possible, but imperative that we establish a permanent settlement on Mars in order to accelerate our understanding of the formation of the solar system, the origins of life, and of equal importance, our place in the universe” it says. 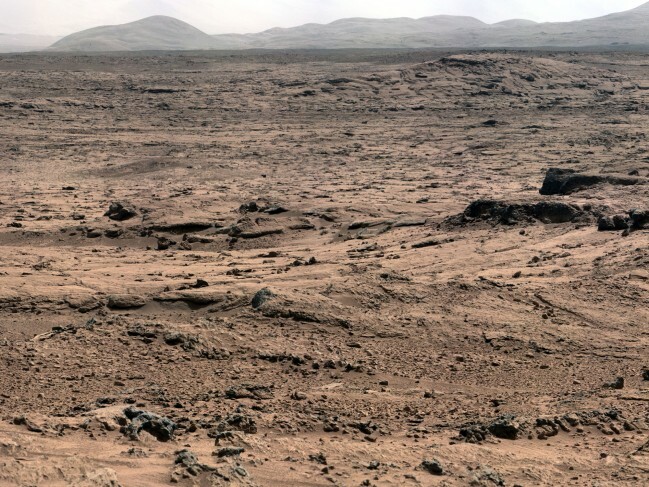 Image: Panoramic View From ‘Rocknest’ Position of Curiosity Mars Rover. 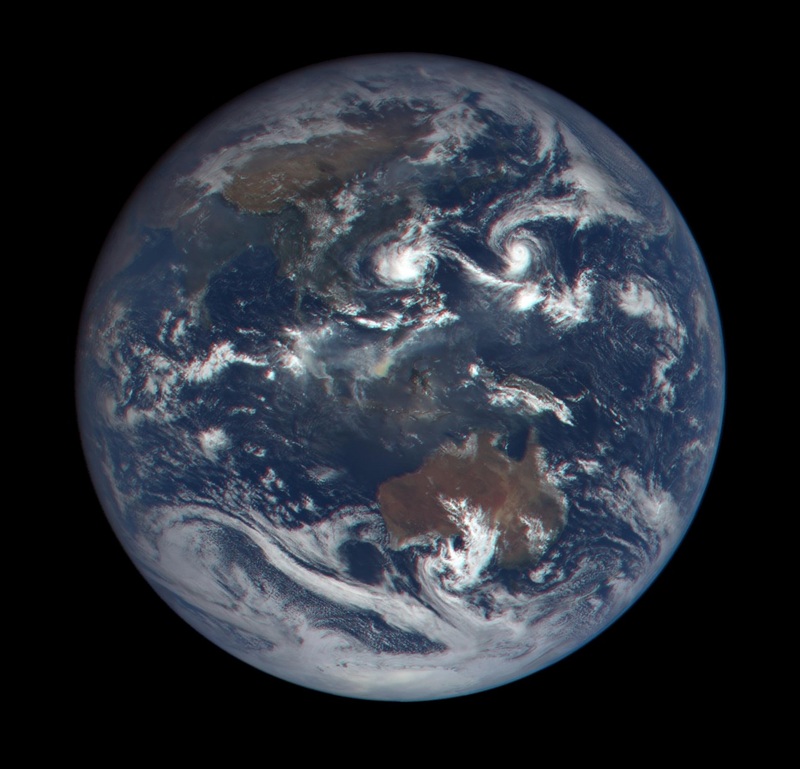 Courtesy of JPL / NASA.